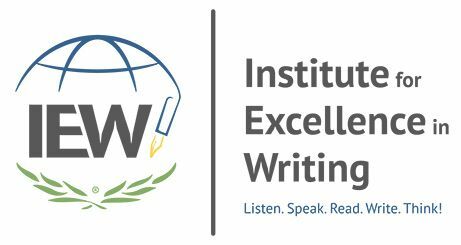 I love reviewing for Institute for Excellence in Writing or IEW for short. 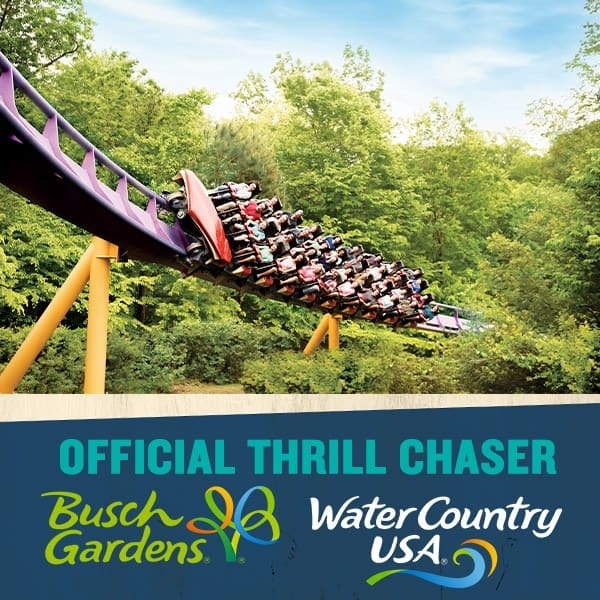 They have such fantastic products. 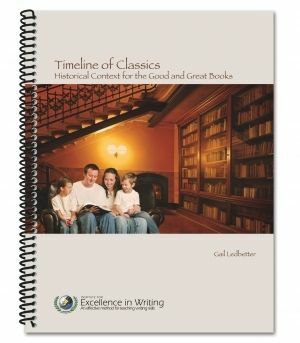 This time I got to review three different products: Teaching with Games Set, Timeline of Classics, and A Word Write Now. 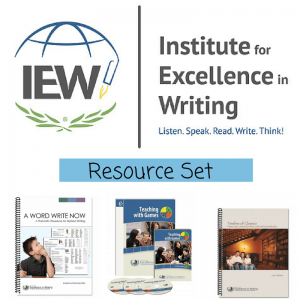 We received three physical products to review in the mail: Teaching with Games Set; which is a wire-bound book plus it came with a 3 CD set, Timeline of Classics; which is a wire-bound book, and the A Word Write Now; which is also a wire-bound book. The PDF e-book is the wire-bound book that I received with it. So I received a physical copy and then there’s a printable e-book one on the 3rd CD incase you might need more game board pieces. 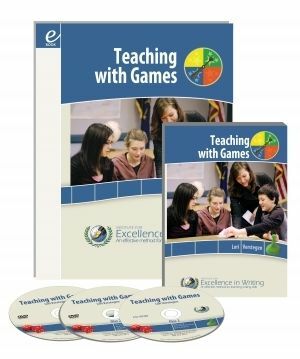 This book and CD set was prefect for our game nights, not only does it have all subjects including Bible, it also involves learning not just playing. How is it useful you’re asking, well this book is so useful, in each section it lists the description or time period and what happened during that time, then it lists either books, movies, or articles about what happened, then it lists the author, and then if that wasn’t enough it lists the grade level like E for elementary, M for middle school, and then H for high school. See isn’t that very handy and useful? So we used this whenever the boys are studying an era and need to know more information about it, plus if we can watch a movie about that topic, they have an alternative to learning besides reading a book. Take the word “Compassion”, you can find other words for it like big-hearted (Adjective), bountifully (Adverb), hearten (Verb), and Good Samaritan (Noun Character). Plus it has the Definition of the main word, “Thoughts on” the word, and even Excerpts from Classical Literature. 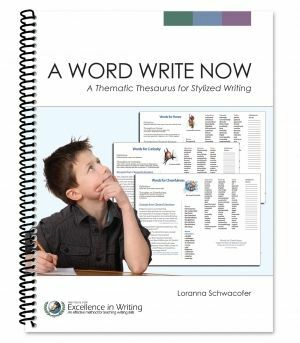 There’s also lines on the sidebar of the book for when you think of more words to add. I really liked this one a lot. every time I’m writing something and want to use a unique word I just pull out my handy Thesaurus and I’m good to go!